Road to Armageddon is what I interpret as the literal and metaphorical path we as the human race has taken- through varied lands to our ultimate end. Often tangled and barren, it is also a symbol of great fields of peace and promise, grit and character. My neighbor was going to throw out a gate from his old farm somewhere out in the countryside of Texas. 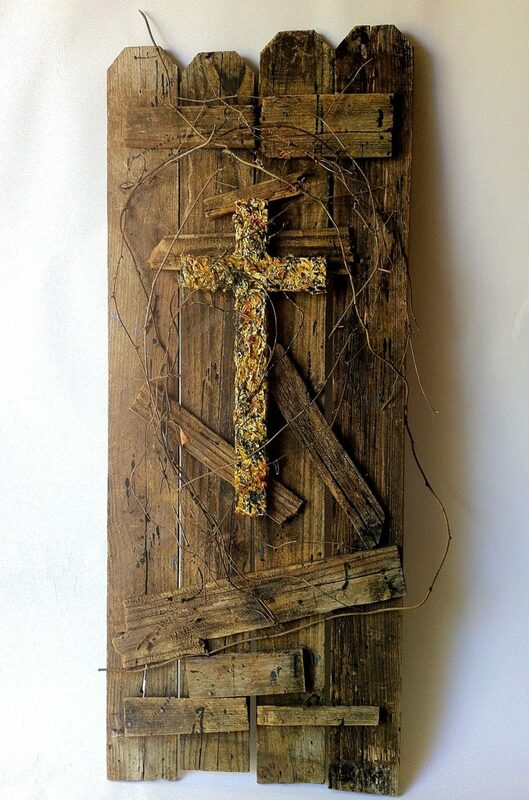 So I scooped it up, split it into two (it’s pairing is Valley of Megiddo), and added pieces of wood rails and one of my first large crosses.